Michelle Davies | The Journal Gazette The open-air bar at the Don Hall's Gas House could be shut down. Local health officials this week joined the chorus in urging the state to allow a local restaurant to continue operating a popular outdoor addition as it has done for nearly a decade. 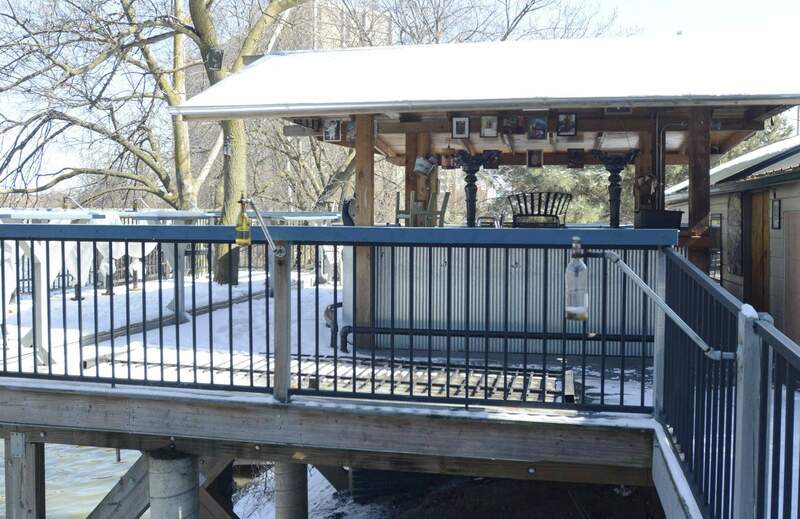 A letter signed by Fort Wayne-Allen County Health Commissioner Dr. Deborah McMahan and others calls for the Indiana State Board of Health to grant The Deck, operated by Don Hall’s Old Gas House along the St. Mary’s River, a variance to a state law that bans outdoor eateries and bars. The Deck, which is slated to open for the season in mid-May, has been serving food from inside the Old Gas House restaurant, but drinks came from the bar built onto The Deck itself. However, according to Indiana law, establishments must have barriers that protect against the entrance of insects, rodents, dust and dirt, animals and other "environmental elements." Health officials said they noticed recently, when another restaurant wanted to build a similar outdoor bar, that Hall’s had been running The Deck, which was slated to expand, outside of state law. The news of the oversight also came as the city began touting plans for riverside development. "Because this issue impacts economic development and has become quite public, we think it is very important for state and local public health to take a consistent and evidence based stance," the letter from local health officials to the state read. The letter, also signed by Mindy Waldron, administrator of the Fort Wayne-Allen County Health Department, and Dr. William Pond, the executive board president for the local health department, continued with: "We are unable to find any strong evidence that providing the variance would create a significant safety hazard for patrons." "In addition, the lack of scientific support makes it very difficult to argue the merits of this law, especially when it is countered that it will have a dramatically negative impact of the economic development of our city," the letter also said. Mayor Tom Henry last week also asked the state to grant a variance for the popular bar, which has been a fixture on summer afternoons and nights for years. Last week, officials from Hall’s said that no matter what, The Deck would be open. If the variance is not granted, though, the restaurant would possibly have to serve drinks the way it does the food – which requires a long walk from the restaurant through the parking lot.